Muzzaffarnagar city is one of the famous cities of Uttar Pradesh. It is popularly known as “The Sugar Bowl of India” and is the part of National Capital Region as well. 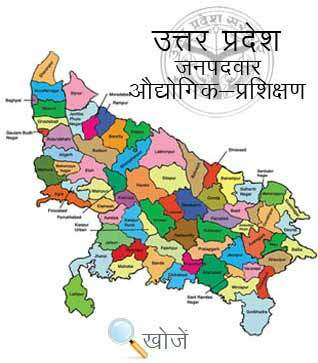 The city is leading Industrial, Commercial and Educational pivot of Uttar Pradesh. The city boasts several Institutes of higher Education such as Degree Colleges, Medical Colleges, English medium schools, study points etc. to educate students up to the mark. ITI’s are the prominent one. The DGT (Directorate General of Training) begin Craftsmanship Training in 1950. The mandatory condition for the training is matriculation and the age is up to 14 years. The timing period is 6 months to 2 years for various trade courses totally depend on student’s choice. Muzzaffarnagar has one Government Industrial Training Institute (ITI) and twenty-five Private Industrial Training Institutes (ITI’s) that offers technical as well as non-technical courses to the students such as Electrician, Mechanic Motor Vehicle, Tool & Die Maker etc. to become Independent and earn handsome salaries. Vyavasayik Pareeksha Parishad (www.vppup.in), Uttar Pradesh is responsible for organizing the entrance examination for admission in State ITI’s. Also, students can visit online website www.upiti.in to get all the necessary information regarding online downloading of application forms, counseling dates, downloading of admit cards, checking of results etc to save their valuable time.